Mistral’s strategic alliances with leading technology companies help us provide our customers with world-class solutions in our focus domains. Mistral’s partners include Qualcomm, Texas Instruments, Microsoft, NXP, Wind River, Curtiss Wright Defense Solutions, and Ansys among others. 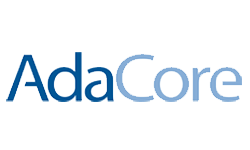 AdaCore is the leading provider of commercial software solutions for Ada, a state-of-the-art programming language designed for large, long-lived applications where safety, security, and reliability are critical. AdaCore’s flagship products are the GNAT Pro development environment, CodePeer static analysis tool and the SPARK Pro Development environment. Founded in 1994, AdaCore has North American headquarters in New York and European headquarters in Paris. 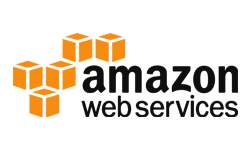 Mistral is an AWS Partner leveraging the power of the Amazon cloud to offer product developers an inclusive Internet of Things experience. Mistral offers productization services to the IoT Market which helps product developers get their IoT devices to market faster. 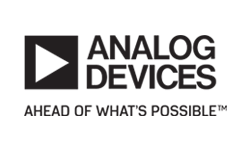 Analog Devices is a world leader in the design, manufacture, and marketing of a broad portfolio of high performance analog, mixed-signal, and digital signal processing (DSP) integrated circuits (ICs). Their Analog Design Alliance Program is a network of third party developers who provide hardware & software products, algorithms and design services for a wide variety of applications and markets. As a member of Analog Design Alliance Program, Mistral offers product design and consultancy services on the ADI’s SHARC, TigerSHARC and Blackfin platforms helping customers accelerate their development cycle and reduce time-to-market. 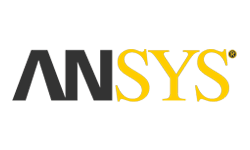 Esterel Technologies (part of ANSYS) is a leading provider of critical systems and software development solutions for the aerospace, defence, rail transportation, nuclear, and industrial & automotive domains. System and software engineers use SCADE® solutions to graphically design, verify, and automatically generate critical systems and software applications with high dependability requirements. . 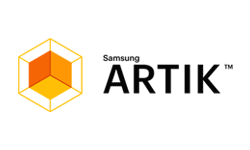 The SAMSUNG ARTIK Partner Program provides companies looking at developing IoT solutions access to an ecosystem of partners who bring unique technology and skills leveraging the SAMSUNG ARTIK Smart IoT platform. Mistral is a Samsung certified ARTIK Partner and offers services and technologies that can help reduce development time and internal resource requirements saving valuable time during the product development cycle. MFi or Made for iPod / iPhone / iPad is a licensing program to design and develop electronic accessories that connect to the iPod, iPhone and iPad. These accessories are also certified to meet the Apple performance standards. 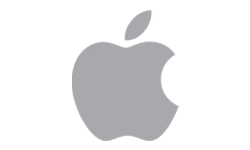 Mistral is a MFI Adjunct member and offers Tier 1 vendors iOS application development services and development of hardware accessory that interfaces to the iPod / iPhone / iPad. 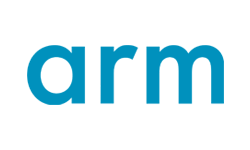 ARM’s comprehensive product offering includes 32-bit RISC microprocessors, graphics processors, enabling software, cell libraries, embedded memories, high-speed connectivity products, peripherals and development tools. Mistral is a member of the ARM® Connected Community and has worked extensively on ARM technology, having executed designs based on ARM industry-leading technology including the ARM Cortex-A, Cortex-R r and Cortex-M series of processors . Avalon Technologies (Part of the Sienna Group), a leading Electronic Manufacturing Service solutions company, is a Strategic Production Partner for Mistral. 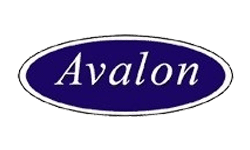 Mistral and Avalon work together to support customers, providing them a seamless Design-to-Production experience. Avalon’s high-tech capabilities in Printed Circuit Assemblies (PCBA), Custom Cable & Wire harnesses, Metals, Plastics and Magnetics complements Mistral’s expertise in embedded product engineering expertise, specifically in the defence and aerospace domain. BriefCam® is an Israel based, privately owned technology company that enables efficient, rapid and effective review of video surveillance footage. 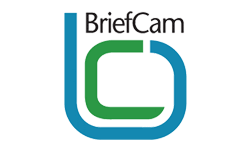 BriefCam’s award winning technology enables rapid video review for decision support, security, safety and quick action. BriefCam® customers include police, military, border control and other Homeland Security agencies, as well as security operations at municipalities, transportation authorities, building and campus security offices, loss prevention and more. Curtiss-Wright Controls Defence Solutions is a long established technology leader in the development of rugged electronic modules and systems for defence applications. 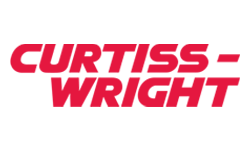 Curtiss-Wright serves as a technology and integration partner to its customers, providing a full range of advanced, highly engineered solutions from modular open systems approaches to fully custom optimized solutions. Curtiss Wright Controls modules and systems are currently deployed in a wide range of demanding defence & aerospace applications including C4ISR systems, unmanned subsystems, mission computing, fire control, turret stabilization, and recording & storage solutions. Elma Electronic is a global manufacturer of electronic packaging products for the embedded systems market — from components, storage boards, backplanes and chassis platforms to fully integrated subsystems. Elma also provides enclosure solutions to electronics companies, from cases to vertical cabinets, as well as precision components such as rotary switches/encoders, front panels, and LEDs. Elma has a broad base of proven standard products that can be tailored to individual applications, from initial concept to volume production. 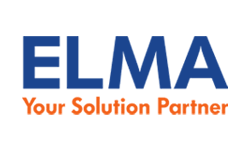 Elma’s reliable solutions, flexibility, and design expertise are key reasons why the leading electronics companies in the world choose Elma time and again. 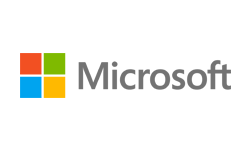 The Windows Embedded Partner Program (WEPP) from Microsoft delivers powerful benefits, including increased visibility, credibility, resources and networking opportunities. Mistral is a recognized Microsoft Windows Embedded Partner and provides services covering a wide range of hardware and software solutions. Mistral has worked with several customers worldwide offering a wide range of Windows Embedded Services for handheld multimedia devices, communication, networking and smart electronic devices. With the industry’s broadest wireless connectivity portfolio, Murata Connectivity offers cost-effective, high volume modules that are easily integrated into your end products. Murata Connectivity modules are embedded in Internet of Things (IoT) applications, demanding automotive and industrial machine-to-machine (M2M) systems, as well as in mobile and handheld consumer devices where size, performance and power consumption are critical. 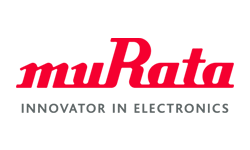 As a strategic partner for Murata, Mistral offers specialized hardware and software design services based on Murata’s Connectivity solutions. Maxtech offers an infrastructure-independent and infrastructure-expanding wireless communication solution for mobile users. Maxtech’s advanced ad-hoc mesh technology ensures high quality voice and data exchange. The technology, named max-mesh, enables mission critical communication of professional mobile radio where no infrastructure is available. 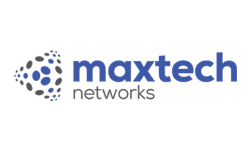 Designed for inter-operability and seamless integration, Max-Mesh is a pure software solution that is physical-layer agnostic thus supporting a wide variety of devices and of commercial and governmental applications. 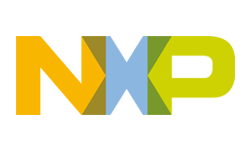 NXP Semiconductors N.V enables secure connections and infrastructure for a smarter world, advancing solutions that make lives easier, better and safer. As a member of NXP’s Partner program, Mistral offers customers professional design services based on NXP’s i.MX, Power Architecture and QorIQ processors for consumer, automotive and industrial markets. 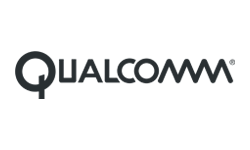 Qualcomm® is an American multinational semiconductor and telecommunications equipment company that designs and markets wireless telecommunications products and services. Qualcomm operates through three segments: Qualcomm CDMA Technologies, Qualcomm Technology Licensing, and Qualcomm Strategic Initiatives. Mistral is a Qualcomm Technology licensee and has strong capabilities on their MSM8996 and APQ8096-1 SoC chipsets. Mistral will design and develop System-on-Modules (SOMs) and development kits based on Qualcomm® Snapdragon™ 820 processors and also provide customized product design and development services to customers based on the platform. 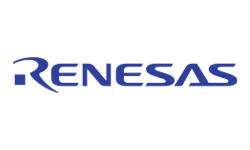 A global leader in microcontrollers, analog, power and SoC products, Renesas provides the expertise, quality, and comprehensive solutions for a broad range of Automotive, Industrial, Home Electronics, Office Automation and Information Communication Technology applications to help shape a limitless future. 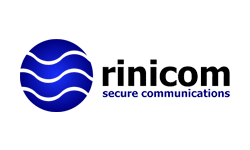 Rinicom is a UK based technology company specializing in providing state-of-the art solutions for wireless broadband communications, digital TV broadcasting and wireless video surveillance and First responder applications. Rinicom’s range of products include COFDM IP Mesh Radios, COFDM P2P Radios, Long range data links, Integrated Systems, Specialist video cameras, OEM products and accessories. Real-Time Innovations (RTI) is a real-time infrastructure software company. 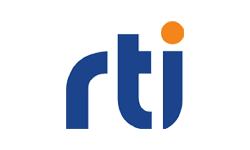 RTI provides the messaging backbone for the world’s most demanding real-time systems. Committed to open standards, open community source and open architecture, RTI provides the leading implementation of the Object Management Group (OMG) Data Distribution Service™ (DDS) standard. RTI’s customers are in aerospace and defence, process automation, financial services, energy, automotive, health sciences and transportation. 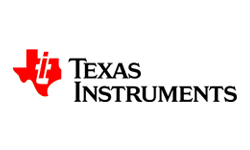 Texas Instruments Incorporated (TI) is a global analog and digital semiconductor IC design and manufacturing company. In addition to analog technologies, digital signal processing (DSP) and microcontroller (MCU) semiconductors, TI designs and manufactures semiconductor solutions for analog and digital embedded and application processing. As a member of the TI Design Network, Mistral offering a broad range of solutions including reference designs, turnkey products and services, system modules, embedded software, engineering services, and development tools that help customers accelerate development efforts and reduce time-to-market. A wholly-owned subsidiary of the Intel Corporation, Wind River enables companies to develop and run device software better, faster, at lower cost, and more reliably. Wind River platforms tightly integrate a rich set of market-leading operating systems, development tools and middleware with services to provide a complete foundation that meets the specific requirements of a vertical market. 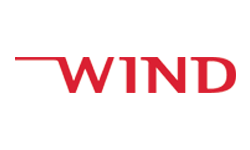 Wind River’s products and professional services are used in multiple markets including aerospace and defence, automotive, digital consumer, industrial, and network infrastructure. Xilinx is the worldwide leader in complete programmable logic solutions. 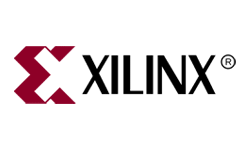 The Xilinx Alliance Program is a worldwide ecosystem of qualified companies collaborating with Xilinx to help customers develop products faster and with confidence on Targeted Design Platforms. As a member for the Xilinx Alliance Program, Mistral’s offers complete, comprehensive customized solutions for defense, automotive, industrial and consumer electronics applications based on Xilinx Spartan and Virtex range of FPGAs and Zync SoC. 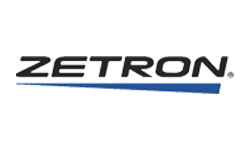 Zetron is a subsidiary of JVC Kenwood Corporation. For over 30 years, Zetron has been designing, developing, manufacturing and implementing mission-critical communications solutions for public safety, transportation, utilities, manufacturing, healthcare and business applications throughout the world. Zetron’s wide range of communication solutions include Custom systems, Integrated communication-and-control systems (ICCS), Radio dispatch consoles, Emergency call-taking systems, Paging infrastructure, Trunked radio, Wireless SCADA and remote-monitoring products.